Note, the topic of running unit tests in your pipeline will be covered in more detail in future sections. The resource-app resource will place the inbound files for the input into an alternate path. By default we have seen that inputs store their contents in a folder of the same name. The reason for using an alternate path in this example is specific to building & testing Go language applications and is outside the scope of the section. 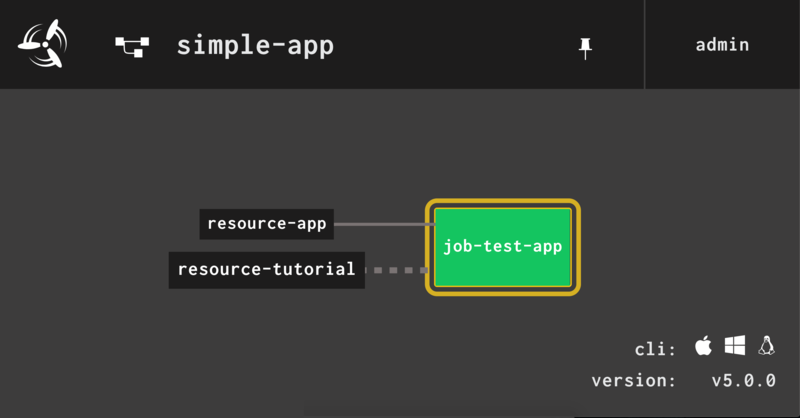 View the pipeline UI http://127.0.0.1:8080/teams/main/pipelines/simple-app and notice that the job automatically starts. 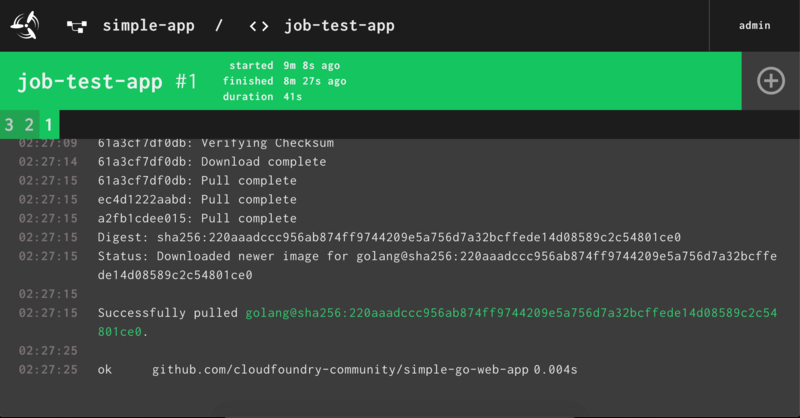 The job will pause on the first run at web-app-tests task because it is downloading the golang:1.9-alpine image for the first time.